A group photo with the Officers at the front centre. My dad, Jozef, is second from the right. Hi Vanda, would this have been the full compliment, or just a part of it? Hi Harry, this is just part of it. 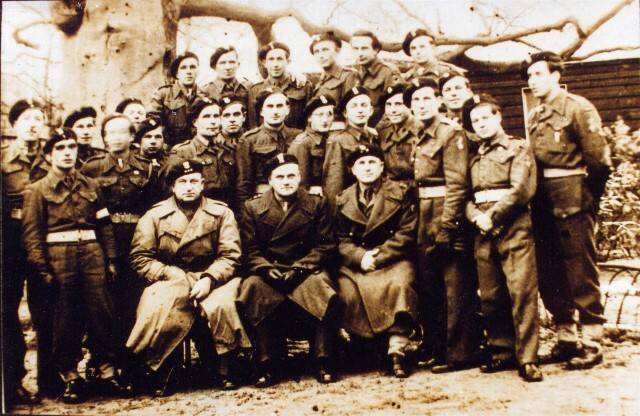 The camp comanders are the 3 men sitting at the front. I'm trying to find out from dad how many were there.